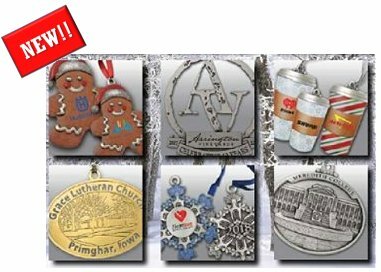 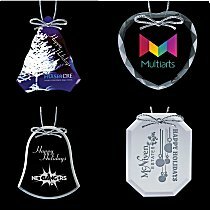 Select from any of these corporate Christmas ornaments and imprint your company logo or message. 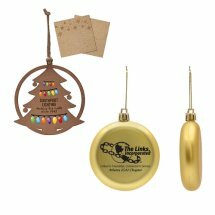 These ornaments are great for church gifting programs, school fundraisers and business gifts. 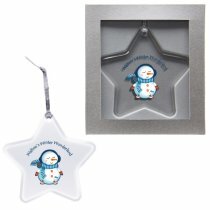 Holiday ornament production time is usually 2 weeks, so order early for the holiday season. 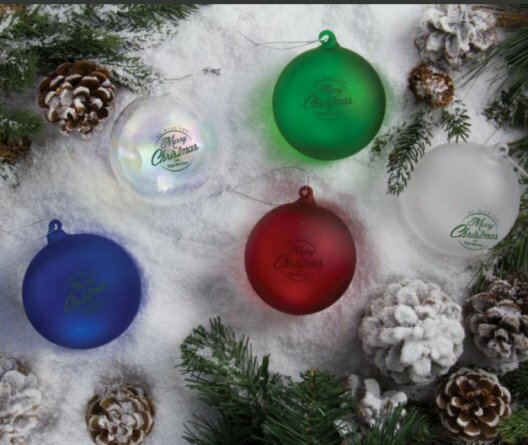 These custom ball ornaments come in a variety of colors. 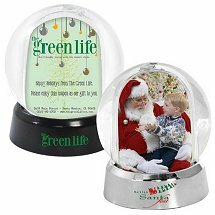 Choose from full color imprints, or single color imprint. 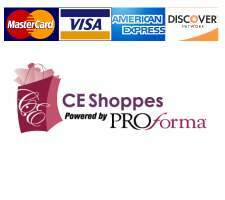 Many price ranges and styles to fit your budget. 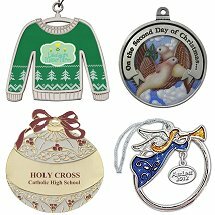 Hotels, resorts, tourist attractions and theme parks find our custom ornaments retail very well as souvenir pieces. 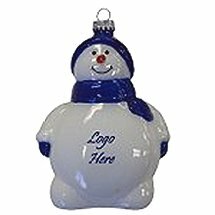 Companies and businesses have found ornaments as a unique way of promoting their products or showing appreciation to clients or employees.